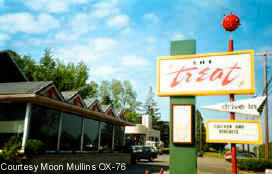 A roadside treasure in Pennsylvania is The Treat Drive-In Eatery. Tremendous googie marquee in front, complete with red spiked orb on top of sign. 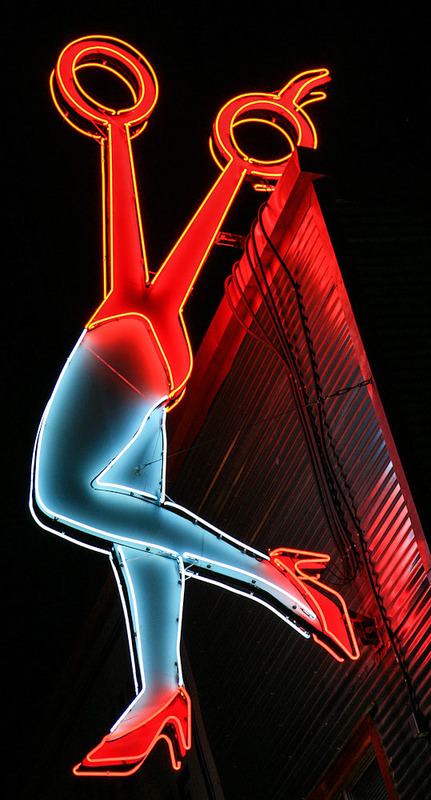 Googie arrow adorns the post right below main sign. And check out the boomerang lettering! Wow. 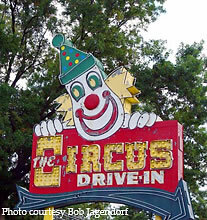 Check out the famous marquee that advertises The Circus Drive-in of Wall, NJ. 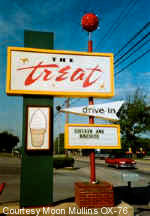 The drive-in eatery has been around serving hungry automobile patrons since 1954. The round building looks like a tent in a circus. Here's the round circus tent looking building that is on site. 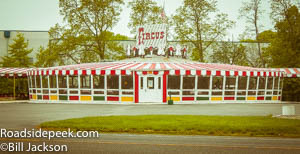 Here's the marquee for L-Kens Drive-in in Colonie, NY which has been open since the 1960's. The chef on the sign holds u a rotating weenie for all to see.